Lime, which rents out bicycles and scooters, may be coming soon to Richmond. A Silicon Valley-based firm may soon steer its shared scooters and its gang of “juicers” into Richmond. Lime, which operates rental fleets of on-demand, dock-less electric scooters and bicycles, is plotting an entrance into the city. The company has posted job listings for an operations manager and mechanic in Richmond and a spokeswoman confirmed its interest in the local market, while adding that its plans are still in flux. “We envision having a region-wide mobility network that includes D.C., Virginia, and Maryland and are eager to serve Richmond, Virginia, but do not yet have launch plans solidified,” Lime’s Mary Caroline Pruitt said in an email. Founded in January 2017, Lime has expanded its offering into more than 60 markets nationwide. Lime scooters may become very noticeable in Richmond. Using an app, users can find and unlock nearby bikes and scooters, which can be left virtually anywhere. Its bikes cost $1 for 30 minutes, while scooters cost $1 to unlock plus about 15 cents per minute used. Lime’s electric scooters can reach a top speed of about 15 miles per hour and have a range of about 20 miles. It also operates e-bikes in certain markets. The duties listed in the job ad for the operations manager include bringing “our scooter and bike fleets into the local community.” The posting does not specify when Lime would be launching in Richmond. In markets such as Denver, Lime has enlisted a squadron of people known as “juicers” to collect and charge the electric vehicles once they’re discarded by users. Its scooters typically need to be charged once per day, and it takes about five hours to charge a dead scooter, per a BusinessDen report. Per startup database Crunchbase, Lime has raised over $467 million in venture funding. 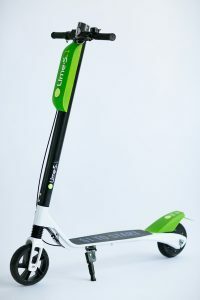 It competes with fellow dock-less scooter companies Bird and Spin. 3 Comments on "On-demand scooter startup Lime is sweet on Richmond"
I love the Lime/Bird scooters, as well as JumpBike. I spent a week zooming around SF with them and fell in love. There are def some kinks to the system like as the day progresses more and more scooters are out of service due to dead batteries. But, it made SF feel like an adult playground. Please bring us the scooters! AND more bike share! Does it include a sweet little app for the motorized scooter drivers to holler at the EMS dudes when they run over pedestrians on the sidewalk? Working out method for injecting saltwater into the electronics of these dogs. If folks used them properly and people didn’t phone while driving these might not be so bad. My experience with them as a non-user in DC metro has left nothing but poor impressions. Scooters left in inappropriate places – riders on sidewalks, weaving in and out of traffic, and running red lights (just like bikeriders!). Moving to Richmond next month and vow to destroy as many as I can.